Offering you a complete choice of products which include Ayurvedic Medicine such as Tribulus 750 mg, Joint Care Capsules, Joint Care Oils, Joint Pain Relief Products, Liver Care Products, Female Health Care Products and many more items. Bhumi Amla AB ( Phylenthus Niruri) 50 mg, Daru Haldi ( AB ( Berberis Aristata) 40 mg, Bhringraj AB (Eclipta Alba) 50 mg, Gali AB ( Indigofera) 10 mg, Punarnava ( AB (Borhavia Diffusa) 50 mg.
Normal periods can become irregular when there is stress. There are host of other reasons that make a monthly cycle irregular. This remedy is designed to help women who wish to have freedom from irregular monthly cycle.It contains five herbs that have been used to make this formulation. The herbs are Alua (Aloe Vera) 200 mg, Lavang (Cariyophilus Aeromatica) 100 mg, Argat ( Claviceps Purpurea) 100 mg, Vanspatra (Bombusa Arundinacea) 50 mg and Gajarbeej (Daucus Carota 50 mg. There are immense benefits that can help the women with her monthly cycle.It clears oligomenorrhoea, dysmenorrhea, delayed menstrual cycle and obstruction in the monthly cycle. 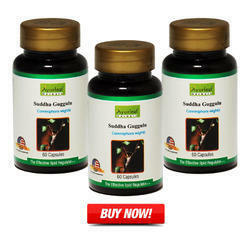 This is an exclusive formulation, which contains the goodness of nine medicinal herbs. Each herb promotes its inherent qualities to the product and its unique formulation. 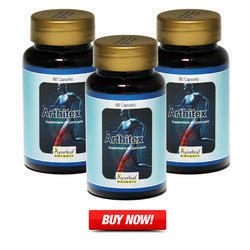 The herbs used are Shatavari (Asparagus Racemosus) 50 mg, Gokshuru ( Tribulus Terrestris) 50 mg, Ashwagandha (Winthania Somnifera) 50 mg, Giloy (Tinospora Cordifolia) 50 mg, Jeevanti (Leptademia Rectilata) 50 mg, Haldi (Curcuma Longa) 50 mg, Manjistha (Saraca Asoca) 50 mg, Rakta Chandan (Pterocarpus Santalinus ) 50 mg. 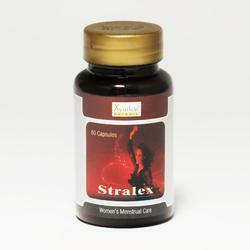 This is an excellent tonic for ladies to improve their health. It promotes their overall beauty. 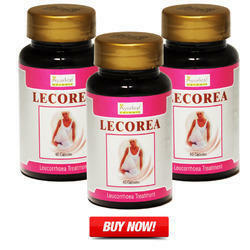 It regulates the hormone imbalance, cures anemia, and clears impurities in the blood. And normal women do not have any side effect of this remedy. Description: This is a small herb with spinney branches. It also has gum resin with medical properties. Snakebites can be cured with this herb. It is grown in India as a valued medical herb. Medically it is called Commophora wightii or Indian Bdellium Tree. 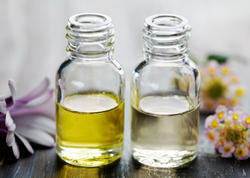 In Ayurveda it is specific for its lipid regulation. Benefits: When the patient complains of Hyperlipodemia this remedy acts as an antagonist at farnesoid x receptor (FXR). It maintains the cholesterol. It is also a regulator as a bile salt export pump (BSEP), an efflux transporter. 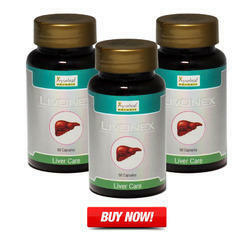 It improves LDL, maintains body weight and reduces fat. Dosage: 2 Capsules twice a day after meals. Ayurveda, which literally means the science of life (Ayur = Life, Veda = Science), ayurveda is an ancient medical science which was developed in India thousands of years ago. 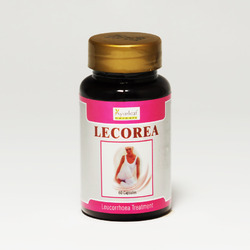 We are wholesale distributors of Lecorea, used for the Treatment for Leucorrhoea.